When a life is taken from this world do the people that mourn really know the person? Or do people mourn the idea of the person that is no longer among the living? Dani Lancing’s murder is still unsolved. For years, her mother and father have wondered what happened to their beautiful daughter. What kind of monster would hurt her?Even he friend, Tom, is unable to move on and vows that one day there will be justice for Dani. Patricia and Jim, each dealing with the loss of Dani, in their own way, watched their marriage disintegrate. Patricia- driven, determined for vengeance and Jim, wanting peace and closure- have loved, but drifted apart. Tom wants to be able to tell them news, yet a cold case is not likely to lead to news. One day, Tom lets Patrica know that with new developments in DNA, cases that were not solvable years ago are being looked over again. Tom warns Patricia to not get her hopes up. Patricia is done waiting. She sets out to find the evidence. In doing so, she makes a deal with the devil. Little does Patricia know the deal maker is a spider-luring her to his web- where the truth of what happened to Dani will be revealed..slowly and in due time. Who is responsible for Dani’s death? Is there more to the story than meets the eye? I have been looking forward to reading this since I requested it from Netgalley. The first few chapters took time to get into and the jumping from time period as clues were slowly and meticulously revealed had me having to re-read dates of the time line again. Dani Lancing hit a groove, though, and seemed to be heading for a breathless ending- then, it stopped. Stopped short of the dramatic ending that it appeared to be poised for and substitued another ending. This ending is fine and has it’s own dramatic ways- but the other ways this could have ended- well the possibilities were endless! Did I like this book? Cautiously, I say yes. The writings, the plot, the characters,were better than fine or just ok. Do I want to re-read? No. 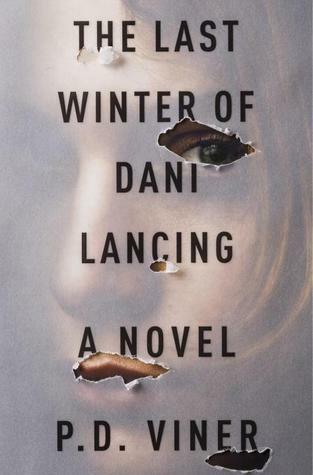 In the end, this book left me feeling like Broken Harbor by Tana French did- glad to read it, thought it had some very good parts- but the ending just left me conflicted. Not conflicted enough to give a book a thumbs down- but it’s not getting 5 stars either.